These unique, quality wooden playsets sets are beautifully designed. They are portable and easy to store. Open, build and play! When it's time to put them away, everything fits neatly into the portable wooden storage case. 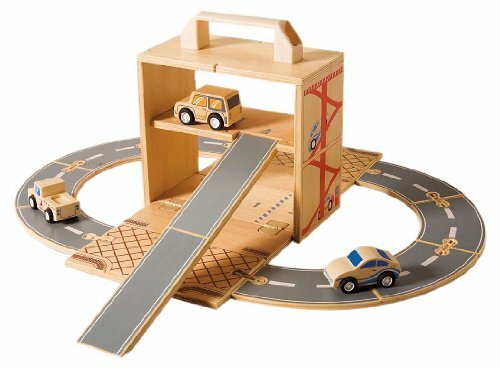 Each set comes with 3 vehicles, vehicle tracks and wooden storage box. Choose from 3 themes- trains, cars or airplanes (sold separately). Collect them all! Ages 3+.